Please read this review enthusiastically humming the original Wonder Woman theme music. It’s fair to say that DC has somewhat botched their cinematic universe thus far, with both Batman Vs. Superman: Dawn of Justice and Suicide Squad falling as flat as pancakes with fans and critics alike. Despite this false start to the franchise, a Wonder Woman origin film set in World War One had many intrigued, if nothing else. Straight out of the gate I’ll say that Wonder Woman was an excellent superhero movie. Gal Gadot’s ‘fish out of water’ portrayal of the titular character was sublime; indeed this feels like the character she was born to play, and although Chris Pine and the rest of the supporting cast don’t bring anything revolutionary to the table, they all perform their roles competently. Whilst on the subject of characters, Wonder Woman is unique in the DCEU, in that you route for those you’re meant to like, and don’t support those you’re meant to loathe, a basic concept that was unfortunately lacking at times in the franchise’s previous outings. What’s more, the dark, heavy cinematography that let down the likes of Batman Vs. Superman and Suicide Squad is employed adeptly on this occasion, complementing the drabness of London in war time (not that the weather in London needs much help looking drab at the best of times). This is particularly effective when contrasted against the equally impressive portrayal of Themyscira, the Amazonian homeland, near the start of the movie, which is a vibrant, lush fantasyscape. Finally, although this film is exemplary in its own right, some of it’s plot beats and themes bear more than a striking similarity to those found in Marvel’s Captain America: The First Avenger. Both are period superhero movies, both include a ragtag, multicultural team of soldier as supporting players, and both culminate with a heroic, suicidal plane crash. I would never say these connections detract from Wonder Woman, but the question will remain, did Cap do it better? 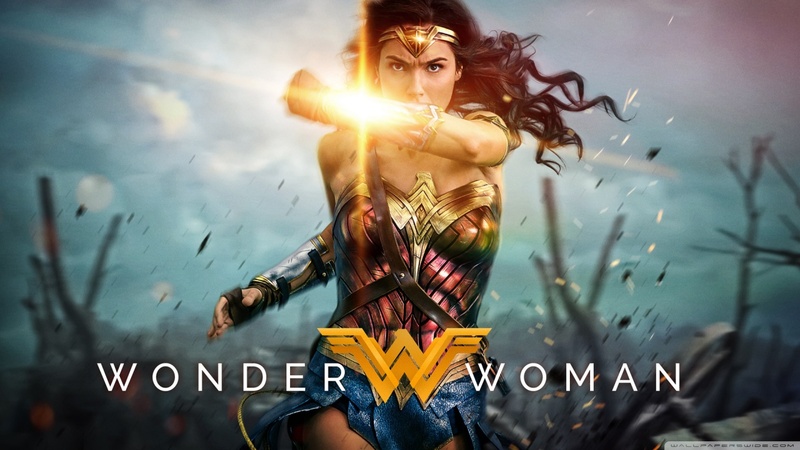 Wonder Woman has more than deserved the initial success that it’s garnered; it’s a lifeline for the DCEU and something to build the franchise on going forward. Ideally without Zack Snyder desaturating the life out of it. Lastly, whilst I’ve attempted to critique this film without bringing up the already well explored issue of gender roles in superhero movies, if this film inspires children, regardless of gender identity or race to don the cape and cowl and fight for justice then Wonder Woman could be a watershed moment for the genre going forward. That can only be a good thing. Alongside the other super heroes, no wonder wonder woman does take the limelight. It is nice to see that a woman has the courage to save the world from the difficulties that we face. Thanks for the review.